Duluth, MN: GPM, Inc. (GPM) is pleased to announce multiple new hires to the company's administrative, engineering and sales teams. At GPM's Duluth location, Luke Esboldt joined as Applications Engineer, Daniel Hon was brought on as OEM CAD Project Leader and Mary Willemarck was hired as Receptionist and Administrative Assistant. 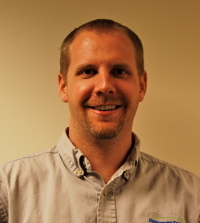 At GPM's Apple Valley location, Chris Kinner was brought on as Outside Sales Engineer. 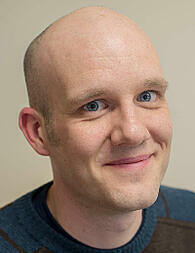 Luke Esboldt comes to GPM with a variety of skills in project design, logistics and project reviews. In the role of Applications Engineer atGPM, Esboldt will take on responsibilities such as assisting with engineered products, project management, sales support, customer support and other associated tasks. Esboldt received a Mechanical Engineering degree from NDSU and formerly worked as a Boiler Systems Engineer with both Consumers Energy in Midland, MI, and Xcel Energy in Becker, MN. Daniel Hon joins GPM as an OEM CAD Project Leader, bringing with him 17 years of experience in engineering design and manufacturing. In his role at GPM, Hon will generate 3-D CAD models, designs and 2-D drawings for new and existing GPM products and parts, while collaborating with manufacturing to ensure parts are made correctly to the designs. Hon holds a Computer Aided Design Technology diploma from Lake Superior College in Duluth, MN. 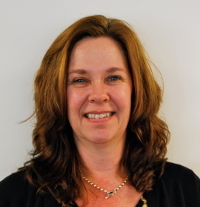 Hon joins GPM after previously working as a Designer Specialist for Cirrus Aircraft, also located in Duluth. Mary Willemarck brings ten years of experience in administrative roles to her new position as Receptionist and Administrative Assistant for GPM. In this role, Willemarck will direct all incoming calls, assist in administrative tasks and create sales orders and vendor purchase orders. Willemarck joins GPM after past positions as a Scheduler for Regency Home Health Care and an Administrative Assistant for Essentia Health, both located in Duluth, MN. 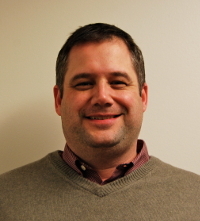 Chris Kinner joins the GPM sales team as an Outside Sales Engineer based out of GPM's Apple Valley, MN, office. Kinner brings nearly ten years of industrial sales experience, along with direct experience with mechanical seals, process mixers, steam turbines and pump systems. As Outside Sales Engineer, Kinner will be responsible for developing sales leads, updating sales outlooks and reports and promoting and supporting GPM service capabilities. Kinner has a Chemical Engineering degree from the University of Minnesota-Twin Cities and formerly worked for Philadelphia Mixing Solutions Ltd. in Minneapolis, MN, as Regional Sales Manager.